Joachim Loew has extended his contract as the coach of the German national team by another 2 years. 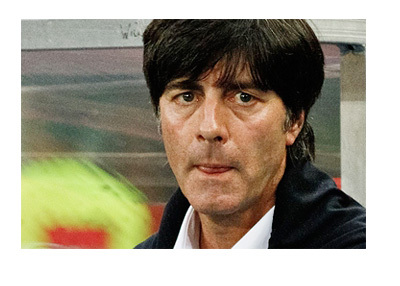 This will see the 55-year old Loew manage the German team till the 2018 World Cup in Russia. His original contract would have expired by the conclusion of the European Cup in 2016. A mid-fielder with Bundesliga club SC Freiburg till 1989, Loew first took to managerial responsibilities in 1994 with the youth club of FC Winterthur. After stints with over a half a dozen clubs, his break at the international level came in 2004 when he was made assistant to Jurgen Klinsmann who was the German coach at that time. After Germany exited the 2006 World Cup in a semi-final loss to Italy, it was a matter of time before Loew took over the reins from Klinsmann. Lowe took charge of the German team in the Euro 2008, where they lost to Spain 0-1 in the finals. Although Germany lost the South Africa World Cup in 2010 at the semi-final stage once again to formidable Spain, the team drew a lot of admirers. Loew's team happened to be the youngest and most inexperienced side among all the nations taking part in the Cup, the average age of players being just 26. Loew managed his side to 2 memorable wins in the knock-out stages in South Africa - a 4-0 thrashing of Messi's Argentina managed by none other than the legendary Diego Maradona and a humbling of European rivals England 4-1. Loew who already was making a name for himself as a master team-builder shaped the same batch of young players he had under him in 2010 into world champions. Germany under Loew brought the World Cup home after 24 years, the longest the country had to wait to lay their hands on the trophy. Before their win in Italy in 1990, they had lifted the title in 1974 and 1954. Joachim Loew's side was the first European team to win a World Cup on Latin American soil. The most poignant moment of the tournament was when Germany handed hosts Brazil a 7-1 thrashing, the worst defeat the five-time champions had ever suffered. What drew the world's attention was the humility and respect to their opponents Loew and his men displayed as victors after that epochal win. Loew's moment of glory came days later after that when Germany beat Argentina 1-0 in the finals at the Maracana stadium in Rio and became World champions for the fourth time. On extension of his contract as German coach and manager, Loew commented that he felt honored at the challenge of leading the national side and added that he wanted to confirm his team's success from Brazil onwards. There is no other person fit to carry on the good work for Germany than this 55-year old from the remote South-western province of Baden-Wurttemberg.